There are many problems with the Social Security Disability Insurance (SSDI) application and approval process. This is evident by the fact that the Social Security Administration (SSA) initially rejects the vast majority of all applications and forces disabled Americans in desperate need of benefits to go through a long and complicated appeals process. One recent news feature from the National Review Online takes a look at problems with many administrative law judges (ALJs) who oversee the appeals process and conduct hearings for denied claimants. The reporter sought records – including e-mails, internal memos, and other correspondence that might reveal the veracity of Congressional allegations of misconduct, conflicts of interest and other unethical or even illegal behavior by ALJs. 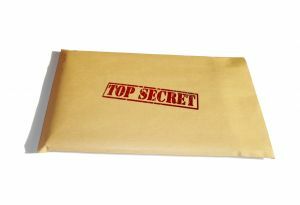 However, when a Freedom of Information Act (FOIA) request was filed, the SSA responded it would neither confirm nor deny the existence of any such records. The allegations included ALJs rubber-stamping of denials, sexually harassing employees, sleeping at work and colluding with corrupt individuals. SSA has claimed that ALJs’ right to privacy exempts the agency from certain disclosure requirements under FOIA. In its defense, it even used an argument used by the CIA when dealing with a cold-war era program. The CIA claimed that it would have to lie or risk giving valuable secret information to the Soviet Union. As our Boston disability lawyers know, while the agency may actively work to conceal certain issues from the public, there are many other problems well known to those who work within the system. With respect to the initial denials – most of all applications submitted by unrepresented claimants are denied without any serious consideration of the merits of the application or the needs of claimants. After the initial denial, claimants can resubmit the application for a peer-review process that almost certainly will result in the denial being affirmed by a peer (co-worker) of the SSA representative who initially denied the application. Eventually, claimant is entitled to hearing before an ALJ. A claimant who is not represented by a lawyer will often have no chance of succeeding–not because he or she is not in need of benefits and legitimately disabled, but rather because of the hearings and adjudication process established by SSA. The adjudication hearing is supposed to include the testimony of independent experts and be presided over by a neutral fact finder. In reality, a vocational expert (VE) hired by SSA and an ALJ who also works for SSA generally create a record as to why claimant is not disabled within the guidelines established by SSA. If these doctors routinely found claimants to be disabled and in need of benefits, it unlikely they would be hired to perform any additional examinations and testify in future cases. This is likely to get worse, as the SSDI program is expected to run out of money in less than two years. One of the most important things a claimant can do to avoid being in such an unfair fight is to contact a disability attorney as early in the process as possible. Having a strong legal representative on your side from the beginning can do much to turn the tide.